Mr. Thangavelu’s diatribe against me is so full of crazy lies that it would be a waste of my time answering it, except that it is quite symptomatic of Tamil nationalist politics and the Tamil nationalist mindset, that this can turn into a ‘teaching moment’. First off, I would ask Mr. Thangavelu to give the source for the outrageous “quote” he attributes to Mahinda Rajapaksa speaking in Kilinochchi. Now let’s dispense with the stuff about me. I can hardly be a Sinhala Buddhist nationalist or supremacist not only because I am not a Buddhist (and have never been one) but also because every self-respecting Sinhala Buddhist supremacist ideologue has attacked and denounced me on the public record at one time or another. 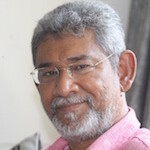 It is also ridiculous to say that I am opposed to power sharing because I have been attacked for decades by the Sinhala chauvinists precisely because I have stood for power-sharing/devolution/provincial autonomy for several decades, and at considerable political and physical cost. I am probably the best-known defender of the 13thamendment among the Sinhalese. One may criticize the 13thamendment but one cannot criticize anyone who has supported and defended it as opposed to power sharing. As for federalism, the world is full of countries which have refused to take the path of federalism. Some of them have incorporated regional, provincial or local autonomy into non-federal or unitary systems. Examples are as diverse as China, Vietnam, the Philippines and South Africa. There are more countries which are unitary than are federal. This is because their leaders and people regard federalism as not in accordance with their national interest. This is my stand too. It is also the stand of the majority of the Sri Lankan people. The Sri Lankan Supreme Court verdict that Mr. Thangavelu refers to was absolutely right to say that federalism is not separatism. It is not necessary to believe the absurd theory that federalism is separatism, to oppose federalism. Karl Marx opposed federalism which the Anarchist leader Mikhail Bakunin advocated. That was not because Marx thought federalism was separatism. More to the point, the Supreme Court verdict doesn’t get anyone an inch towards federalism from where we are now. 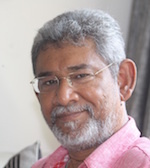 Mr. Thangavelu’s diatribe explains why Tamil politics has been such an utter failure. It will soon be a century since the days of Arunachalam and Ramanathan. It has been almost 70 years since Chelvanayakam and the Federal Party. The Tamils are no closer to self-determination and federalism. Every strategy and tactic has been tried: (I) Satyagraha (II) full-scale war and terrorism (III) Indian covert support and overt intervention (IV) Geneva resolutions (V) regime-change and alliance with the UNP. What has been the result? Any progress towards self-determination and federalism? Today the Tamils are so far from federalism and so close to a Gotabhaya Presidency! The only thing that has survived is the result of the Indo-Lanka accord: the 13thamendment. That is why I have argued that the only solution is to have a dialogue on the improvement of the existing 13thamendment. There is no choice between 13A and federalism/self–determination. The choice is between 13A and its permanent cold storage in a freezer, under the next Sri Lankan administration—rather like the Oslo accords. Mr. Thangavelu and the Tamil people have to get the simple point that the limit of possible change is how much the Sinhala people are ready to go along with. All other unilateral Tamil strategies have been tried and failed. The Sinhala people are willing, at best, to take a look at the existing provincial council system and improve it. Even that window of opportunity may close for a few years after next year’s Presidential election. Of course the Tamils can refuse to accept reality and go along as they have for the past few decades. This can go on for a century or more. The Sinhalese can afford to wait—just take a look at the demographics and the relative percentages, the outflows etc. So Mr. Thangavelu can conduct the argument with these sources, not with me. Of course Mr. Thangavelu may be correct and the Tamil people may regard this fascist monster as a hero. That doesn’t mean that Prabhakaran and the Tigers weren’t fascists. It means that most Tamil people have no problem with Tamil fascism and Tamil fascists. That is yet another reason that the Sinhalese will not risk federalism or consider Tamil self-determination. If the 13thamendment remains, it is only because of the Indo-Lanka Accord. The Tamils have no leverage which can surpass that—except in their delusional imagination. Use it or lose it. I am glad DJ responded to my piece. It only goes to prove it has hurt him. He is an unrepentant racist. 1) The majority Sinhalese cannot impose their will on the minority Tamils. If they do, that is not democracy, it is fascism, and it is a dictatorship of an ethnic permanent majority. 2) Democracy is rule by consent and all the governments since 1956 did not have the consent of the majority of Tamils. 3) Tamils enjoy natural rights under international law. that they are a nation with a rich language, culture living within defined borders. No one, including DJ can deny such natural rights of the Tamils. 4) The Supreme Court of Sri Lanka has determined that the Tamils are a ‘people’ entitled to the right of self-determination. No one has challenged the judgment of the SC including DJ. 5) If DJ calls Prabhakaran a fascist then I can call DJ and Rajapaksas as fascists. Fascists maintains the will of the majority is supreme and the state is all-encompassing, and all within it must conform to the ruling racial majority. 6) The dissimilarity between a fascist/ terrorist is the popularity he/ she enjoys among his/her followers. Prabhakaran is not a fascist because he enjoyed majority support (90%) of the Tamils. He was a Hero for the Tamils when he lived and continues to remain so after his demise. His birthday is a national celebration day across many continents. No Sinhalese leader enjoys such popularity. This is a fact. 7) If the right of internal self-determination is denied to Tamils then they will demand external – self-determination with the help of the international community.